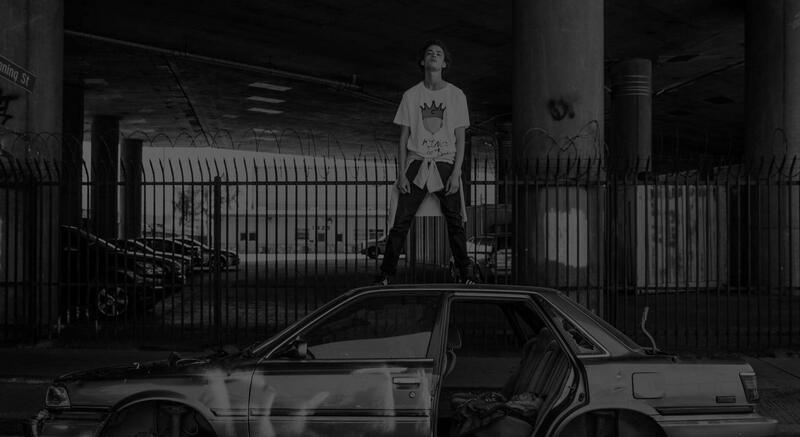 Coronation Apparel brings a unique and creative style to the evolving streetwear industry. Their clothing is designed to empower young street artists and provide a safe space for them to display their artwork. 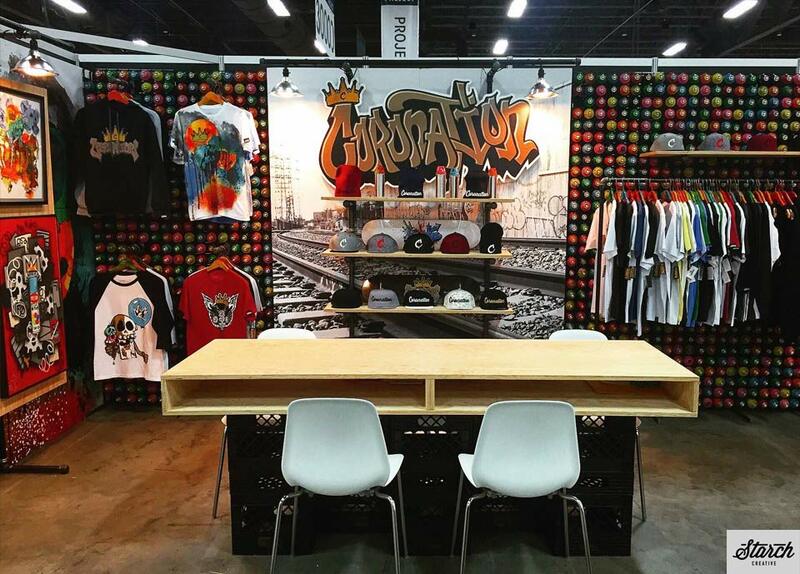 Coronation Apparel produces clothing with beautiful design, quality material, and great attention to detail. Coronation partnered with Devise Interactive to build an eCommerce website to improve their customer experience by sharing their story & passion to a wide audience. With their unique and cutting edge products, Coronation needed a website to complement their style and help them achieve their business goals. We set out to build a fluid, responsive eCommerce website to tell their story and showcase their street style. We incorporated vivid imagery, special typography tactics, and a user-friendly consumer checkout experience to highlight their brand identity on their art. It was important to intertwine direct and clear messaging to support the branded visuals and reinforce their identity. To maximize their success, they needed more than a standard eCommerce website. We decided to integrate compelling content to create a digital life for their brand, including a lookbook featuring a long-scrolling image-driven gallery to fully show off their product line and section of the seasons. With inviting, easy-to-use formats, Coronation can engage its consumers by showing the evolution of their brand and products. The integrated content throughout the website allows for fans to really get to know the brand and make quick purchasing decisions. We created a branded, responsive website that is home to stunning imagery & specific typography. 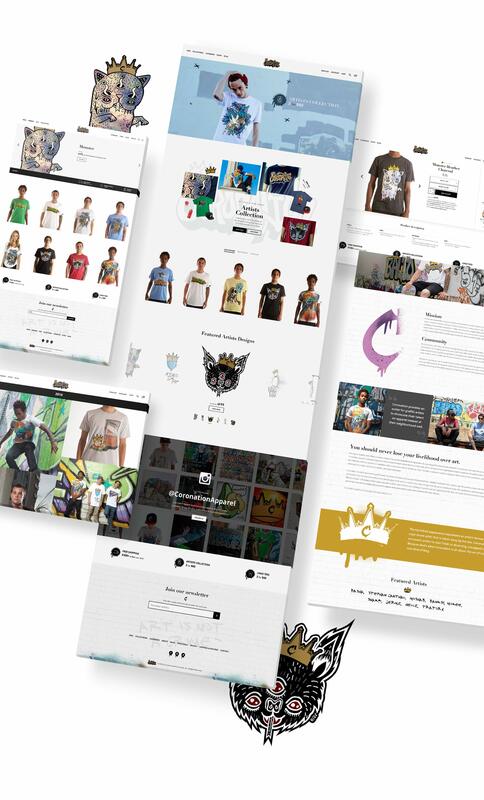 In order to create optimized and fluid customer checkout experience, we integrated Shopify to help Coronation Apparel manage inventory, process orders, create store analytics, and analyze sales trends. With a Shopify integration, their website is designed to influence the wow factor, with fluid checkout experience, easy operational management, and convert & improve sales.